New talent wants in, customers are loyal, and an old, sleepy industry is taking notice as National Life celebrates record-breaking growth in life insurance and annuities. We have grown at National Life simply by digging deep to define our purpose and staying true to our roots and our corporate values. Our cause is a very simple one, directed at the people who live and work on America’s Main Streets: To Do Good in our communities and with the individual families we serve. For more than 169 years1, we have aimed to keep our promises to provide families stability in good times and in bad. And throughout that history, the guarantees2 of our fixed insurance products have provided peace of mind to those families as they plan their futures. At National Life we don’t make widgets or cars or computers. We make promises. Our goal – since the chartering of National Life Insurance Company in 1848 – has been to work together to create a better future for each and every customer through innovative financial solutions and then to deliver on those commitments 10, 20 or 50 years down the road. We are an independent company and independent in spirit. While we do business across the United States, at our core we retain the feel and the attitude of a small company in which each and every individual matters. We are grounded on America’s Main Street where a firm handshake still means something and trust is strong. Do good. Be good. Make good. new hires say they chose National Life because of the culture, the ability to make a difference and the opportunity to contribute to a cause. Our mission extends well beyond insurance and annuities to our CAUSE — making the world a better place. 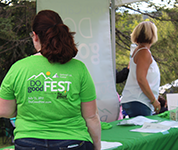 Through grants from our charitable foundation, paid time for our employees to volunteer, environmentally sustainable and healthy work sites, and fun, family-friendly events that promote the work of nonprofits in our own backyard we live our values ​of: Do good. Be good. Make good. 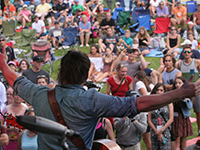 Based on our annual campaign, Main Streets Across America, Main Street Grants awards communities across the country with vibrant downtowns. Each community is deeply rooted in history while having a dynamic vision towards the future. 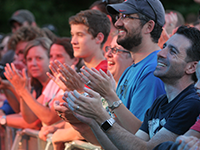 An annual program funded and run by National Life and its Foundation recognizes and rewards K-12 educators and school employees from around the country. Each year, LifeChanger of the Year awards 16 educators and their schools with cash prizes, including a $10,000 Grand Prize. 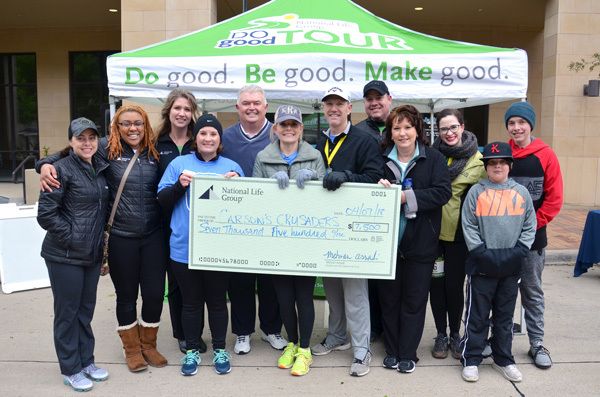 Build your business and National Life brand awareness regionally while building local goodwill by having agents appear at local events with heavily branded signage and a check through the National Life Group Foundation for a local nonprofit organization. Since its inception in 2006, the goal of the National Life Group Foundation is to do good in the communities in which we live and work. 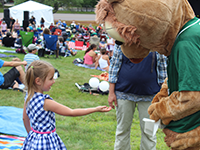 Each year the foundation supports nonprofit and educational organizations by providing grants through our Foundation, giving our employees 40 hours of paid volunteer time annually, sponsoring events and offering in-kind donations. ​​In 2018, we doubled our foundation from $1 million to $2 million to show our commitment to your Causes. 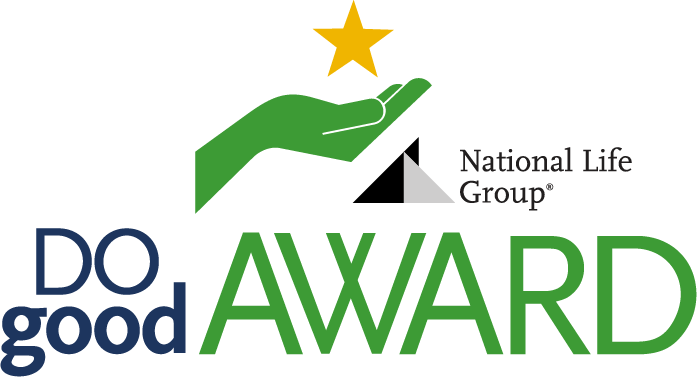 The Agent Do Good Award recognizes an agent who is passionate about a cause and who has been making a difference in his or her community by Doing Good. Read about one of last year's winners here. 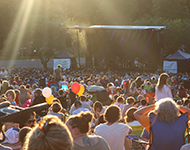 Held annually on the grounds of our Vermont office, this music festival has raised over $135,000 over the past five years for central Vermont cancer patients and their families. 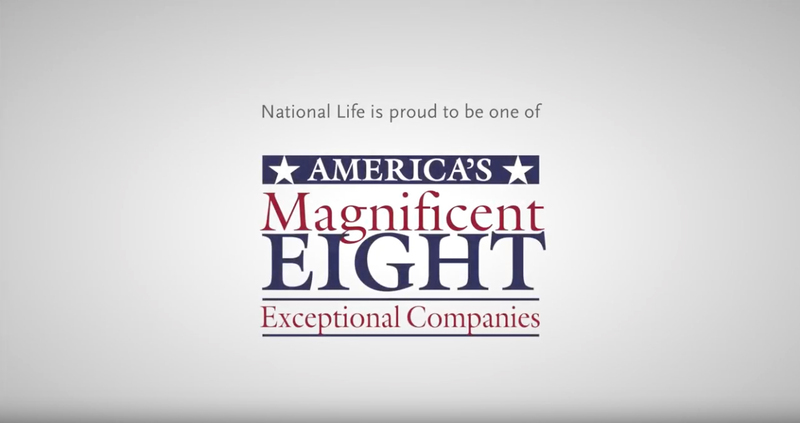 From our history and culture to our products, National life Group has a long history of strength and vision within the industry. Our founders were innovators who created one of the first mutual life insurance companies in the country and the first with a national vision. We were also the first company to offer life insurance products that provide living benefits, and today, we continue the tradition of offering life insurance benefits you don’t have to die to use. To ensure you run your business in a way that meets your needs, we have various affiliation options whether you are looking for a traditional career contract, an independent agent contract, or something in-between, we have the ability and experience to meet your needs. From print materials to websites and social media, we help you promote your business and your value proposition. You have access to dedicated resources and vendors to help you establish and expand your brand in the marketplace. Here is one example of a client-friendly educational video we provide to make the sales process easier for you. Our various financial services companies offer a full portfolio of life, annuity, and investment products to help meet a variety of needs for individuals, families, professionals, and business owners. 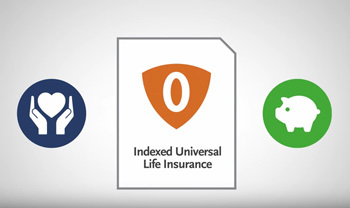 We have a long history of offering life insurance products that provide living benefits. Today, we continue the tradition. With our living benefits, we provide life insurance your clients don’t have to die to use. 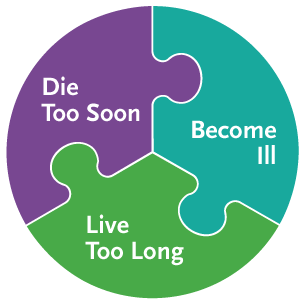 We offer simple solutions for life, whether your clients Die Too Soon, Become Ill or Live Too Long. At National Life, we’re committed to helping provide school employees with annuity products that can help supplement their retirement. We’ve provided annuities through 403(b) and 457(b) plans for decades so our clients can look forward to starting the next chapters of their lives. In 2017, our total annuity sales reached $241 million. Our five-year growth is 41%; our ten-year growth is 96% with a record of $10.8 billion in annuity account value. We take our responsibility in providing the right products very seriously. We require that our agents working in the school system attend 403(b) Certified Training along with product and sales training. We also support them as they do good in their own communities. 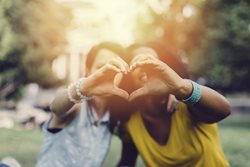 Many of our agents have nominated teachers for the LifeChanger of the Year educator recognition program and support philanthropic causes in their own communities. What does this goodwill have to do with retirement planning? It is all part of our vision to bring peace of mind to everyone we touch. We are committed to supporting your needs and the needs of your clients. We stay current in the market, understand what people are thinking from Main Street to Wall Street. At the end of the day, our job is to simplify the sales process and make doing business with us easy. Our CPA Advantage Program is designed to help agents market themselves to Certified Public Accountants (CPAs) and to cultivate relationships that will lead to referrals and sales through partnership opportunities over time. The Flexibility you need, the Innovation you expect, the Service you demand. Equity Services, Inc. (ESI) and ESI Financial Advisors (EFA)6 are a forward-thinking broker-dealer and Registered Investment Adviser. We know that it’s not just about products; it’s about having the flexibility to build your vision, innovation that is focused on your needs, and service that makes it easier to do business. That’s why we offer multiple affiliation options and a range of resources to meet the needs of career agents and independent agencies. Flexible Business Options: Our Registered Investment Adviser only affiliation option provides the advisory tools that you need without requiring a broker dealer affiliation. A Full Range of Choice - One Simple Process: ESI Illuminations, our fee-based advisory service program, is structured to be competitive and adaptable, providing sophisticated technology and a wide range of capability. 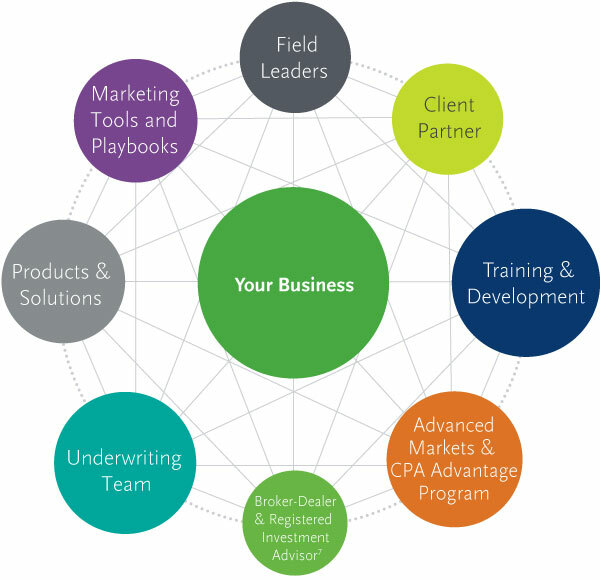 For commission solutions, ESI is a full service Broker-Dealer offering the full range of solutions, selling agreements, and support you should expect from your Broker-Dealer. Technology plays a role throughout the entire process for today’s financial professional - from prospecting to plan implementation - so we’ve partnered with top solution providers to keep you at the forefront of technology. An Electronic Business Processing Platform that provides a flexible, paperless process from start to finish with features ranging from auto-generated forms kits to eSignature. Transitioning your business to a new Broker-Dealer doesn’t have to be a painful process. Our Transition Support Team is dedicated to guiding you through the affiliation process efficiently and smoothly so you can concentrate on the most important aspect of your business: your clients. Backed by an experienced team from Operations, Licensing, Compliance, and Business Development, we’ll help transition your business and identify opportunities to increase your efficiency and expand your practice. We support your training and development needs through in-person coaching, live sales desk support, live pre-scheduled WebEx trainings and innovative on-line resources. For our affiliated producers, we hold on-site product and sales schools and practice management conferences to help you build and execute a customized sales and marketing strategy. Additionally, our new and enhanced 403(b)/457(b) Certified Training provides incredible value for agents who are new to the 403(b)/457(b) market, agents who are new to National Life Group and Life Insurance Company of the Southwest, and to agents who are looking to refresh their skills and knowledge. Gen X and Boomers feel a personal relationship is more important than on-line advice. The time is right to work in the financial services industry. Together we have the power to help families, individuals and small business owners obtain the protection they need, the retirement they deserve, and a life with passion and purpose. If you’re looking for something more – you’ll find it here at National Life. 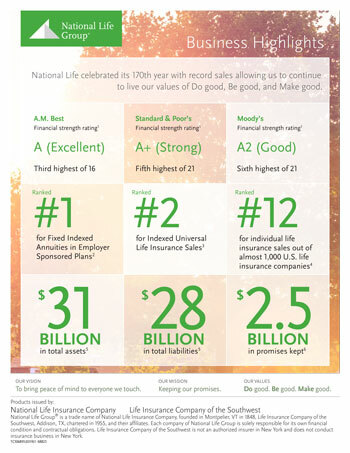 1 National Life Group® is a trade name of National Life Insurance Company, founded in Montpelier, VT in 1848, Life Insurance Company of the Southwest, Addison, TX, chartered in 1955, and their affiliates. Each company of National Life Group is solely responsible for its own financial condition and contractual obligations. Life Insurance Company of the Southwest is not an authorized insurer in New York and does not conduct insurance business in New York. 2 Guarantees are dependent upon the claims-paying ability of the issuing company. 3 Receipt of Accelerated Benefits will reduce the Cash Value and Death Benefit otherwise payable under the policy, may result in a taxable event, and may affect your client's eligibility for public assistance programs. The Lifetime Income Benefit Rider provides a benefit for the life of the insured if certain conditions are met, including but not limited to the insured’s attained age being between age 60 and 85, and that the policy has been inforce at least 10 years (15 years for LSW SecurePlus Provider.) Insufficient policy values or outstanding policy loans may also restrict exercising the rider. Exercising the rider and receiving an income benefit will reduce the policy’s cash value and death benefit and may terminate other riders or reduce their benefits. Riders are supplemental benefits that can be added to a life insurance policy and are not suitable unless the client has a need for life insurance. Riders are optional, may require additional premium and may not be available in all states or on all products. 6 Securities and investment advisory services are offered solely registered representatives and investment adviser representatives of Equity Services, Inc., Member FINRA/SIPC, One National Life Drive, Montpelier, VT 05604. 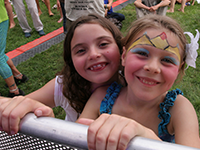 (800) 344-7437., a Broker/Dealer and Registered Investment Adviser affiliate of National Life Insurance Company (NLIC), Montpelier, VT. Third party entities are independent of ESI and its affiliates.